As well as offering spotless, well-appointed guest bedrooms complete with work desks and double sofa beds, ibis Budget Knutsford has struck a deal with the nearby Windmill Pub, where our guests can enjoy a lazy dinner and a complimentary welcome drink. Th e adjacent restaurant lays out a hearty breakfast spread every morning and the nearby garage is great for picking up snacks and drinks. 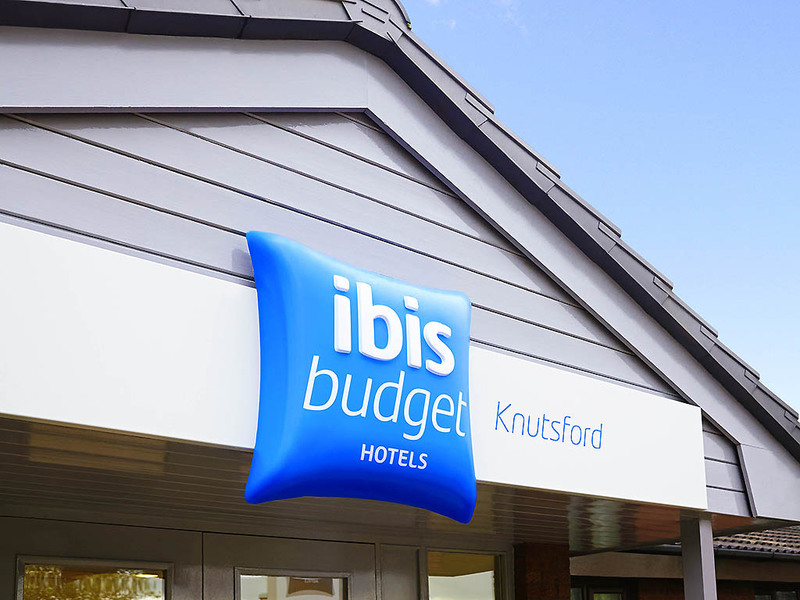 About 20 minutes from Northwich and 25 minutes from Warrington, ibis budget Knutsford offers easy access to Knutsford itself, with Tatton Park only two and a half miles away. Arley Hall & Gardens is about 20 minutes away by car. Please note the road layout around the hotel has changed, as a result some sat Navigations may not pick up our postcode. We recommend following the signs for local facilities which will bring you to the hotel. About 20 minutes from Northwich and 25 minutes from Warrington, ibis budget Knutsford offers easy access to Knutsford itself, with Tatton Park only two and a half miles away. Arley Hall & Gardens is about 20 minutes away by car. Discover how affordable accommodation should be done, with free fibre Wi-Fi throughout, relaxed noon check-outs, pet-friendly rooms for up to three people (great for a family getaway) and en suite power showers for a refreshing way to kick off the day. Don't know the source, but a loud grinding/farting noise every 20 minute meant that the basic requirement of a htel stay, a night's sleep, was not possible. Premier Inn give refunds if this happens. Can't stay there again. Friendly staff; basic but adequate room; good location for touring Cheshire. Very comfortable one night stay whilst travelling from London to Glasgow. Family room was perfect for myself and my son. Only just about acceptable. Friendly check in. Room clean. Disappointing to see that it was an old room (as I presume they all were) that had been given a superficial make over and a professional (as opposed to hasty quick lick) coat of paint. Shower was a walk in and had a good jet The towels were hard and had that 'been through the wash many times' feel about them. The bed was saggy and the quilt very light making for a cold sleep. The accommodation was clean and tidy, the staff were friendly and helpful. We stayed here for one night as our daughter was in a gymnastics competion not far down the road. Check In was really smooth. When we entered the room it was lovely and warm. Very clean with tea and coffee facilities and a telly. Would defernatly recommend for a short stay before travelling onto to somewhere else. The room was clean but the bed was too hard. The electric fire in our first room did not work but the receptionist was brilliant and helped us change rooms. Fab staff. Good room for me and my dog. Quiet and peaceful. Handy for airport. Only downside was no onsite restaurant but pub across the M6 was lovely. No heating turned on in room so room was freezing. Heater on wall was small and not fit for purpose. Shower temperature extremely hot and unable to be turned down. Hotel was clean and comfortable and surprisingly the nearby A556 wasn't intrusive. Small problem with a noise like somebody drilling a wall occurred at intervals which was loudest in the bathroom and maybe was due to some sort of control valve in the water system. I have paid less for better! Mixed. Poor housekeeping standards (bed was not made, toileries and tea/coffee/biscuits not replenished, bath mate still lying on floor from previous night) - I pointed these to Angie at reception. Heater on wall didn't work, Mark said electrician would come in the morning who didn't turn up so had to make do with an ineffective portable heater for the second night. Moulds in bathroom need immediate attention, room 16 - the bathrom cistern/flush button doesn't always work. All in all, there's so much potential to make this such a better hotel with a little bit money spent on refurbs. On the positive side: the best ever staff you have got in the hotel. Hats off to Angie, Mark and Peter. Great team. I wouldn't have come back staying had it not been for them. Great. Friendly staff, clean room with loads of space for me and my son. Excellent value for money. Exactly as expected. Clean and functional. Ideal for early flight from Manchester airport. Check in was swift and staff member very pleasant. The room was a generous size and comfortable. The shower could have done with somewhere to safely put soap/shower gel/shampoo. Enjoyable stopover.